Beautifully and intricately crafted, this filigree locket hands upon a silver rose gold plated fine chain. 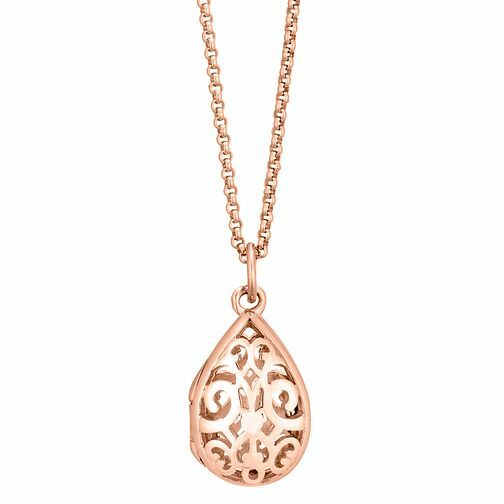 The locket is shaped in a timeless teardrop design, with a delicately cut-out pattern. A precious piece suited to compliment any occasion and outfit.